The Conservative Party released some content in advance of today’s Autumn Statement. They have played a straight bat and obviously wanted all the chatter and news to be around the statement rather than the supporting social media materials. 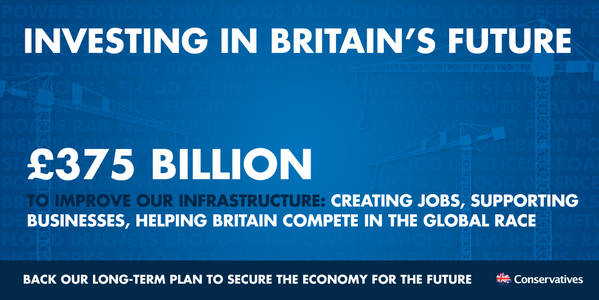 However, from these images you get a sense of the key messages that the Tories will be pushing come election time: 1) We’ve cut the deficit 2) We’ve done it whilst maintaining investment in important parts of the economy.